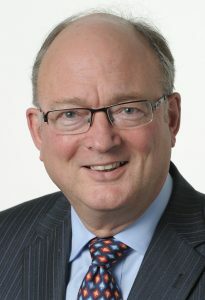 Malcolm Harbour served 15 years as Conservative MEP for the West Midlands, including 5 years as Chairman of the Internal Market and Consumer Protection Committee. For 12 years he was Vice President of the European Parliament’s Science and Technology Foresight Panel. He was a key player in shaping policies and legislation for the single market, manufacturing industry, the digital economy, research and consumer protection. He was appointed a CBE for services to the UK economy in 2013. He did not seek re-election in the 2014 European Elections, and in July 2014, was appointed to the Council of Birmingham University. He is lay Council Member on the University Research and Knowledge Transfer Committees. In these roles, and as an Advisory Board member at Birmingham Science City, he is promoting innovation and stronger EU engagement to benefit his home region. He has been a Director of the Digital Policy Alliance since March 2004 and currently leads the Working Group making inputs to the EU Digital Single Market programme. He acts as a Senior Adviser on the Single Market to the European Policy Centre, and a Senior Adviser to the policy consultants Cabinet DN. He has also worked on institutional reform with the Centre for European Policy Studies, and delivered the 2015 Birmingham European Law School Annual Lecture on this topic. Before his election to the Parliament in 1999, Malcolm spent 32 years in the motor industry, as an engineer, a senior commercial executive, a consultant and a researcher. After gaining a Cambridge degree, he began his career in 1967 as a Student Engineer at BMC Longbridge.